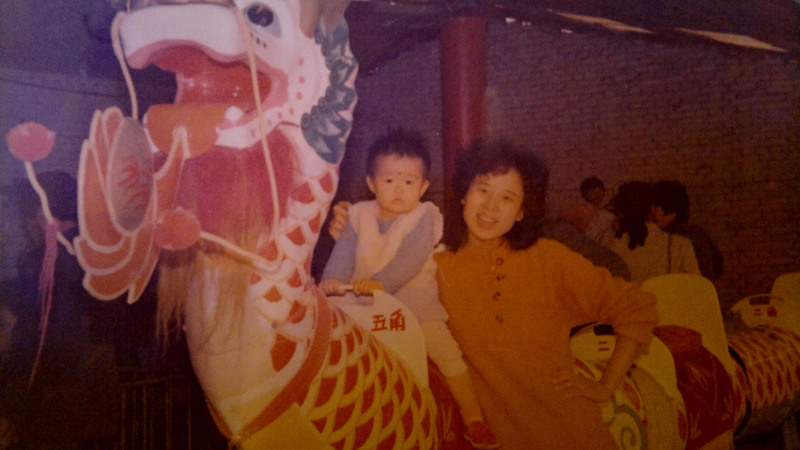 Last week I wrote about the often unpredictable behavior of my crazy Chinese mother-in-law. In the comments I was also asked how her husband is dealing with it all and I have here something like an answer. All the general info about him I wrote already down in two other posts About Father-in-law and The Love for Table Tennis. For the ones who don’t want to read it all I give you some short summary. He is in his mid fifties, loves to play table tennis, eats tons of sweets, as an OCD when it comes to cleaning and is able to eat about double the amount of food for lunch and dinner than the rest of the family combined. In the post About Father-in-law I wrote that he is working as a driver in one of the city’s bureaus. This is no longer true as the whole department has been shut down by the government to safe some money. Now he is unemployed and bored as hell every day at home. For him it is not about being unemployed and not earning money but that he has too much time on his hands out of nowhere. Worst of all for him is that he is whole day home and so is his wife! Though he is very invisible when going around as his wife wants to be the center of everything he still shows his presence when needed. When we need something he goes off and gets it for us in an instant. When we want to cross the street he will go ahead and wave to the cars to let us through. When he sees my wife looking at something in the shop window he will immediately gives her money (though my wife always takes the money she returns it before flying back to Europe without anything spent). He is very caring but sometimes way too much as he gets afraid that something is not good enough. Everytime before buying something he will carefully check the item he wants to buy to make sure that everything is 100% fine. When going out to eat he will clean each cup, bowl and the chopsticks. At home he is cleaning the apartment twice a day, each time done three times. Because he is so worried all the time that everything works fine he has high blood pressure and from is former afro hairstyle nothing is left. Of course we want to give him sometimes some nice presents but that is a futile effort. Not only does he not want anything but when he actually gets something from us he will store it safely away because he wants to wear/ use the old things first until they are broken. During MIL’s days as a model she often got some nice clothes and also gave him some. These days are over twenty years ago and still the clothes he received are originally packed and stored in his closet. Few years ago we bought him a new shaving machine, it took over a year until he used it and only because MIL threw away his old one as even threatening him that she will give the shaver to me would make him use it. In the end all I can say about FIL is that he is a very reliable person who prefers to stick to the background and is thus the exact opposite of MIL. Do you also have a more quiet person in the family who is always there when you need her/him? Last year I had written already about our two weddings, one in China and one in Finland. However I kind of forgot to do so about our engagement dinner which was back in 2011. 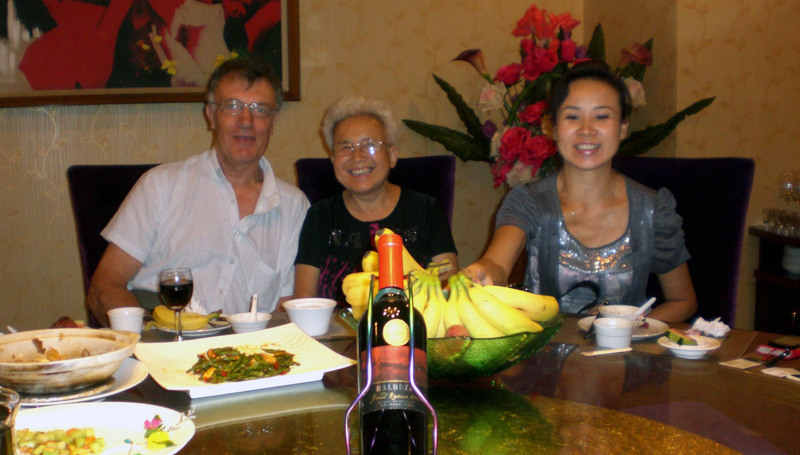 This dinner was also the reason why my parents had their first trip to China. 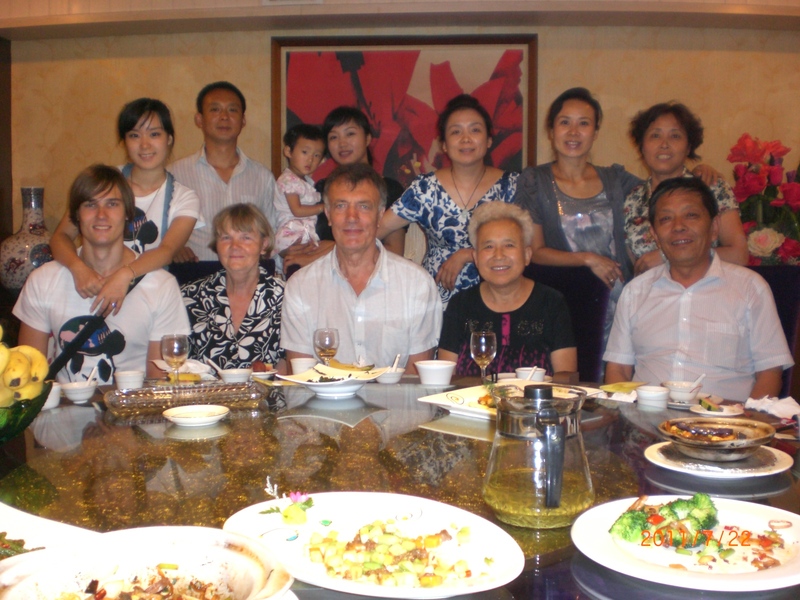 My old people stayed for a bit over a week in China and the engagement dinner was towards the end of their holiday. By then they had already eaten all kind of Chinese food and actually survived. My mother however was a bit more difficult with the food but this is an everyday problem with her even when traveling through her home country. It was a usual July day; hot, smog and high humidity resulting that you start to break into perspiration the second you leave a room with air-condition. For the dinner the closest relatives of my wife had been invited such as her aunt, uncle with his family, crazy granny and godmother and godfather. From my family only my parents had come as it would be just impossible to get my brother ever to China. It was already challenging enough to get him to our wedding in Finland! As for the location we had chosen a bit more fancy restaurant in which we were invited few weeks prior by FIL’s retired boss. I liked the food there, the restaurant looked rather good so we decided on it/ my in-laws decided on it. We got one of the private rooms with a table big enough for us all. I can not remember all the different dishes anymore but I do remember that we had camel. Even my mother tried some camel but only because we didn’t tell her what meat that was…as I said before, it is difficult to go eating with my mother. But MIL took pretty good care that my mom had enough on her plate, always enough, as she continuously filled up my mothers plate with food, and my mom ate everything. You see this is how I was also raised, always finish everything on your plate and this is also the only reason why she was eating and eating and eating. By the way, always eating up everything was also the reason why I gained in those five weeks in China around 8 kg. I learned from this experience and never ever finish up everything anymore when being in China! We had no real celebration or ceremony for this engagement, just eating, receiving few gifts and then everybody went stuffed with food back home. 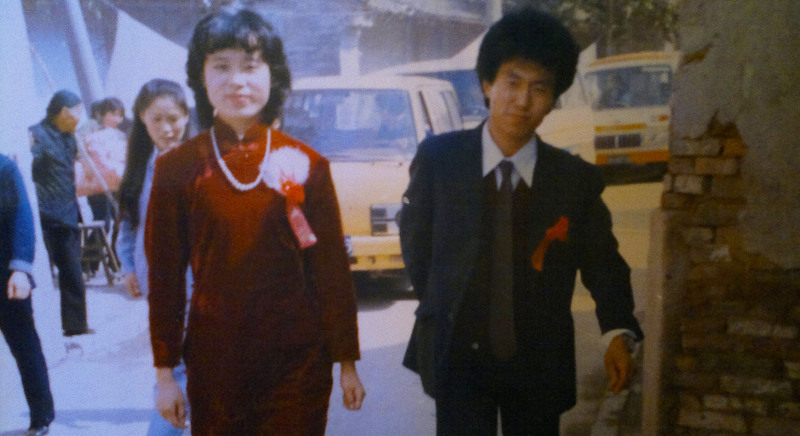 Actually it was similar to our wedding in China, just on a much smaller scale and without all the booze and smokes. My parents paid for the dinner as a “present” as my in-laws were paying later on our Chinese wedding. However many of those great friends of MIL thought that my parents were too cheap because the dinner was apparently not expensive enough for their taste, they had expected some fancy gift, such as a car or similar, oh well, can’t please them all. Did you have an engagement dinner with the family or just celebrated together? Recently I went through my picture collection on my computer again and found some family pictures of my wife. We originally used them for our wedding in Finland to screen in the beginning in the background but ever since then I had forgotten about them. I must say there are certainly some old treasures, especially when looking and MIL: She always had this special evil in her eyes! In this picture you can see forcing her daughter on a picture just to pose as she always does. This is from the wedding day of my in-laws, note the impressive hairstyle of FIL! 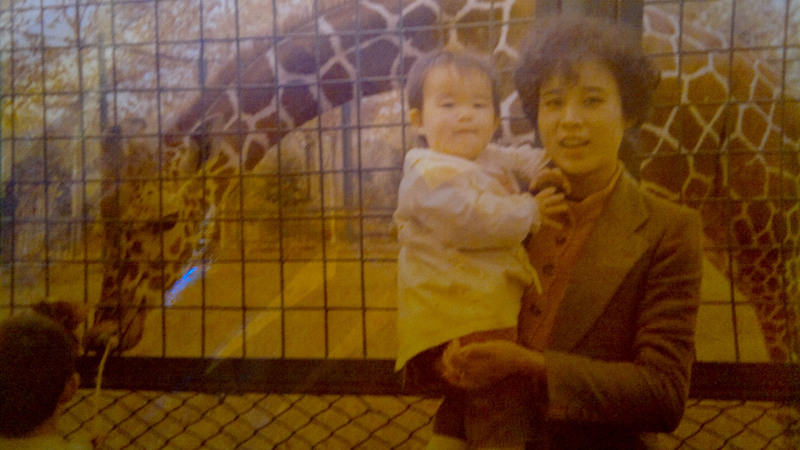 Not even my wife knows where to find giraffes in Xi’an, furthermore it is doubtful that MIL knew what animal it was. Most likely she thought it is a mouse with a very long neck and spots. 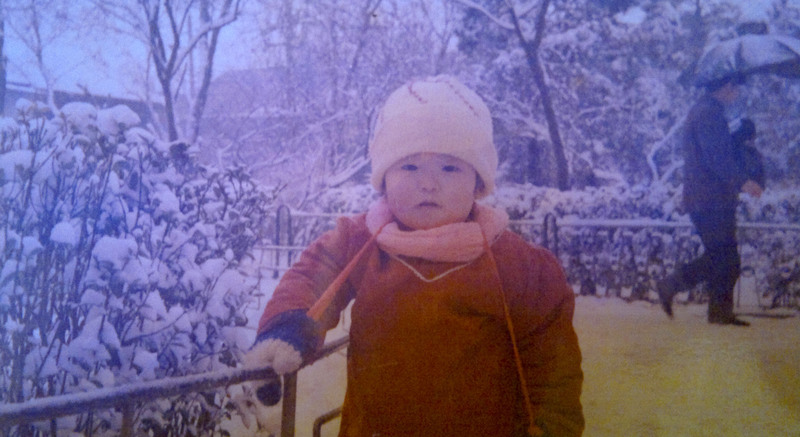 Have you recently found again some old family pictures?